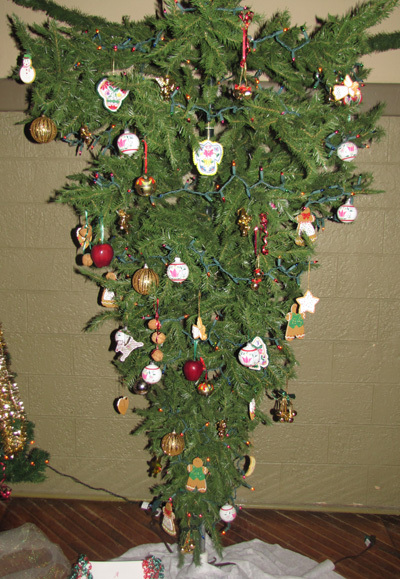 An "upside-down" Christmas tree was on display December 3 - 4, 2011 as part of Wilber's Hometown Holiday Celebration - Celebrating 50 Years of Czech Heritage. Julia Ourecky, 2011 Omaha Czech Cultural Club Princess, decorated the tree with traditional Czech ornaments such as angels, apples, walnuts, perniky (gingerbread cookies) and bells. Her father, Steve Ourecky, engineered the tree display. 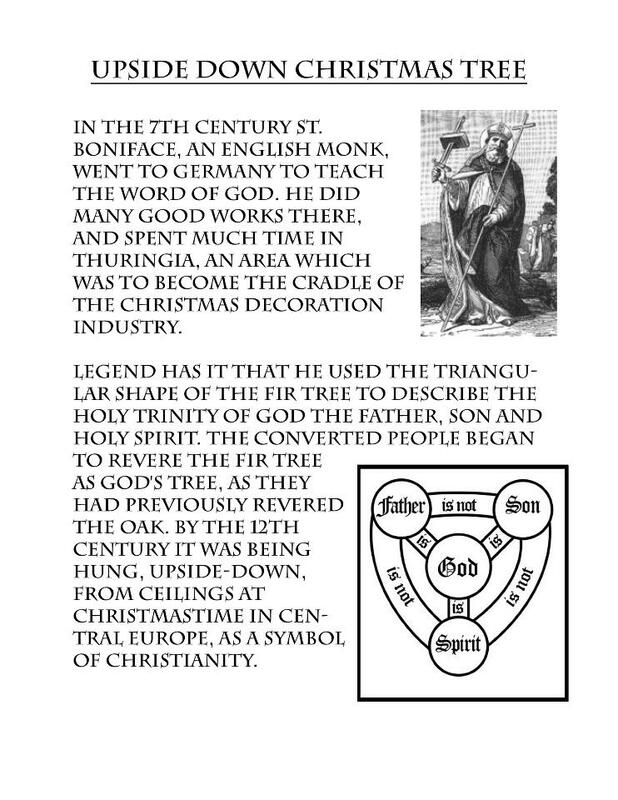 For more information on the history and symbolism of the "upside-down" Christmas tree, see the flier below.